General Motors Co. is continuing to wind down Saab and does not plan to make further announcements regarding the brand's sale, a spokesman said today. No new Saab deals are imminent with any interested parties, GM spokesman Chris Preuss said. After GM said Friday it would wind down Saab, the Detroit automaker said it would evaluate inquiries it has received about the money-losing Swedish brand. Most notably, Dutch niche automaker Spyker Cars NV, which lost a December bid to buy the brand, said it had issued a new offer. Spyker said its bid expired at 5 p.m. Monday. CEO Victor Muller then extended the deadline, saying the company's talks with GM were open-ended and triggering speculation about an announcement. The Saab wind down is expected to take several months. GM's John Smith, vice president of corporate planning and alliances, had said it was possible that GM might entertain inquiries about Saab at any time during the wind-down process. GM put Saab up for sale at the beginning of this year as the automaker sought to unload assets in a restructuring that resulted in its Chapter 11 bankruptcy filing. Koenigsegg Group AB was in talks to buy the brand, but the Swedish supercar maker canceled the sale in November. 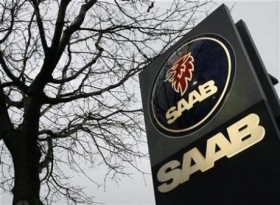 China's Beijing Automotive Industry Holdings Co. said last week it had agreed to buy some assets from Saab, including the intellectual property for the 9-5 and 9-3 sedans, as part of a push to develop its own cars.